This post is dedicated to 'Danescombe' (Dave in real life), a master gamer, moderator and friend of the entire Google Earth Community (GEC). Death snatched him from his loving family and friends on his 44th Birthday on March 4, 2009. Danescombe, a name which he always preferred to use amongst the community members, was a prolific poster and within a span of 3+ years made 10260 posts in the Forum. A collection of some of his great posts can be seen at "The World of Danescombe". A tribute by fellow GEC members is here. Another tribute in Google Earth Blog is here. Rest in Peace my friend. You are gone but will always be remembered by all of us at GEC. 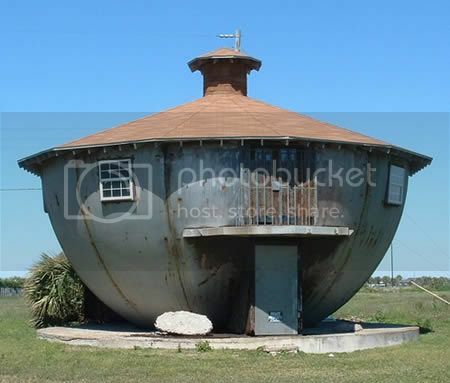 Danescombe's last post, just before he was hospitalised, was about Weird Houses Around the World. As a tribute to him I am reproducing the same here in-toto. 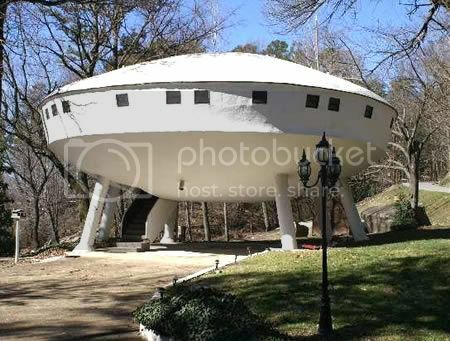 I will try to cover each house one by one in my future posts but he has left enough clues for the readers to find these bizarre houses on their own. 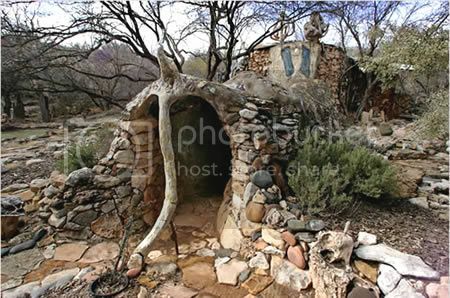 Note: Click on the individual image to find the location and some info about the House shown in the image. 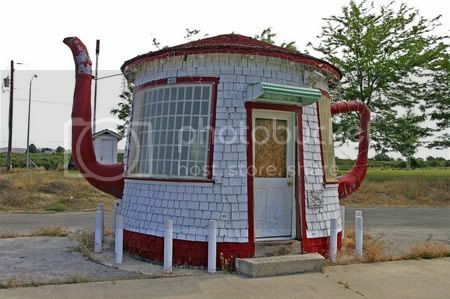 The Teapot Dome, in Zillah. It was built in 1922 as a reminder of the Teapot Dome Scandal involving President Warren G. Harding and a federal petroleum reserve in Wyoming. The Boeing 727 House, in Benoit. 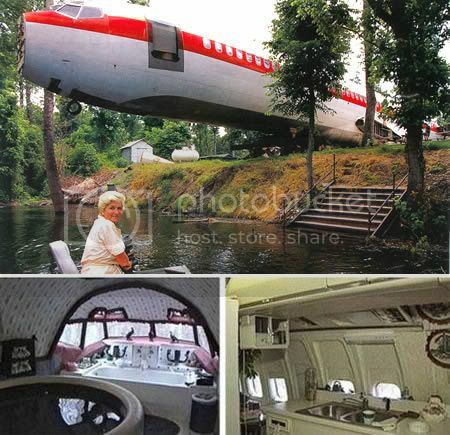 The plane set Joanne Ussary back $2,000.00, cost $4,000.00 to move, and $24,000.00 to renovate. The stairs open with a garage door remote, and one of the bathrooms is still intact. And let’s not forget the personal jacuzzi in the cockpit. 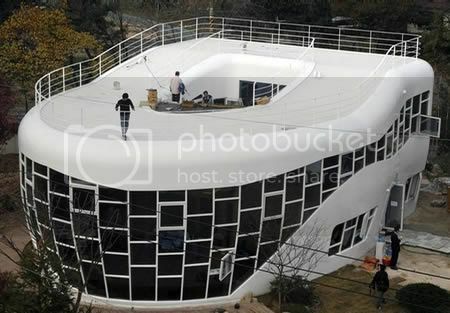 The Toilet-shaped house, in Suwon. 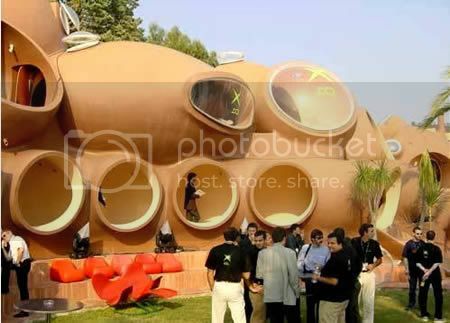 South Korean sanitation activists marked the start of a global toilet association right here on November 21, 2007, by lifting the lid on the world's first lavatory-shaped home that offers plenty of water closet space. 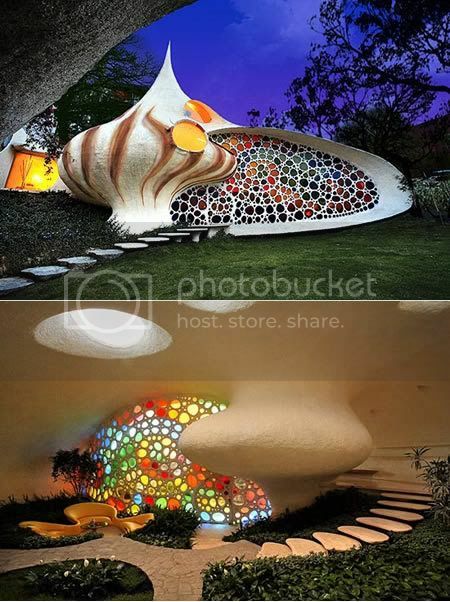 The Nautilus House, in Mexico DF (Mexico), is a seashell-inspired abode built by designed by Senosiain Arquitectos for a couple. 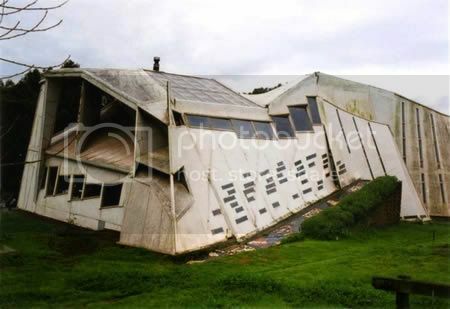 The Shoe House in Hellam. It was an actual guesthouse (3 bedroom, 2 baths, a kitchen and a living room) of a local shoe magnate, Mahlon N. Haines. After his death, it was an ice cream parlor for a while, and now it is a museum. 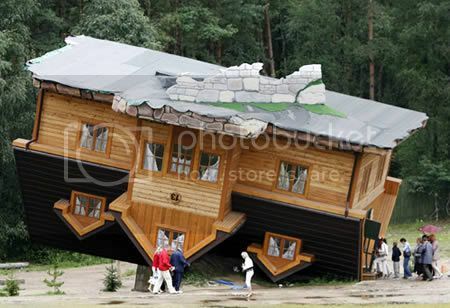 The Upside-Down House, in Szymbark. The house was created by Daniel Czapiewski to describe the former communist era and the present times in which we live. 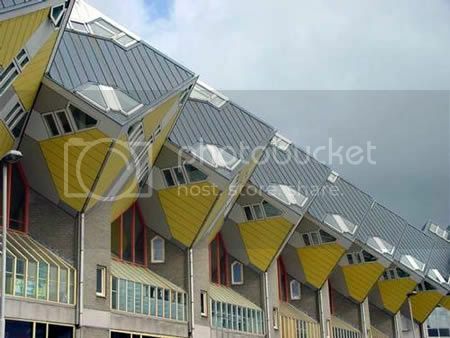 The Cube houses, in Rotterdam. All of this 32 cube houses are attached to each other. Designed by architect Piet Blom in 1984, each cube house has three floors. The Bubble House in Cannes. In the early eighties, fashion designer Pierre Cardin bought this atypical summer house built by architect Antti Lovag. 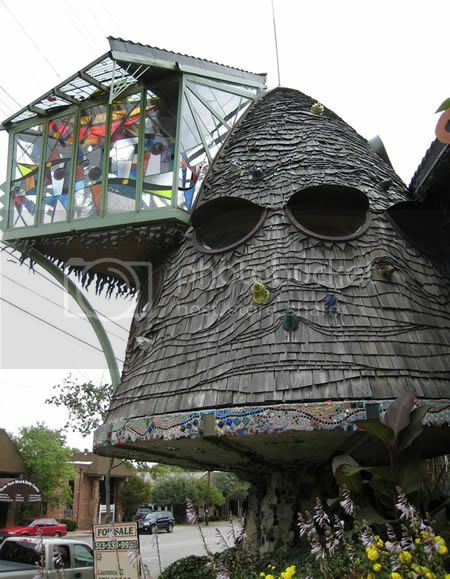 The Eliphante Art House, in Cornville. Artist Michael Kahn and his wife Leda Livant built it from found materials piece by piece. The Mushroom House, in Cincinnati. 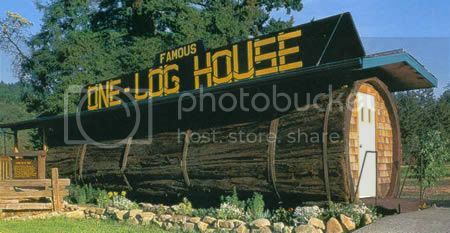 The One Log House, in Garberville. It is a one-bedroom house hollowed out from a single log that came from a 2,100-year old redwood tree. After felling this 13 foot diameter forest giant Art Schmock and a helper needed 8 months of hard labor to hollow out the log into a room 7 ft. high and 32 ft. long, weighing about 42 tons. The Fallingwater, in Pennsylvania (USA). 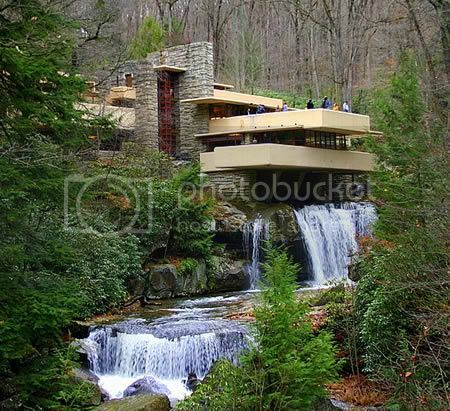 It was designed by American architect Frank Lloyd Wright in 1935 and built partly over a waterfall. 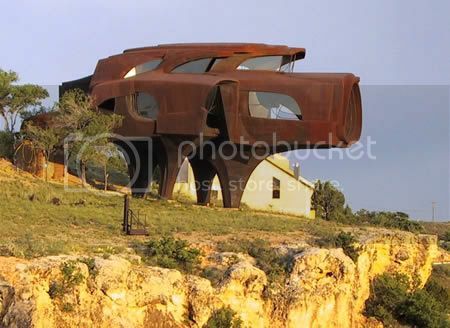 The Steel House, in Lubbock. 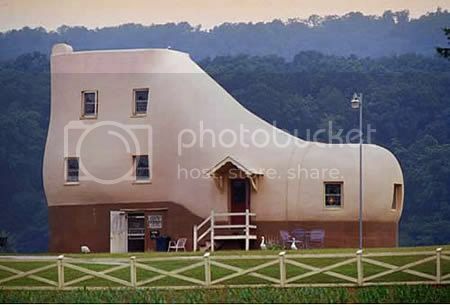 Architect and sculptor Robert Bruno spent 23 years building this strange home that looks like a giant pig out of 110 tons of steel. 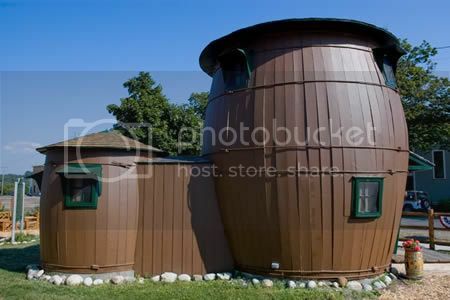 The Pickle Barrel House, in Michigan (USA). 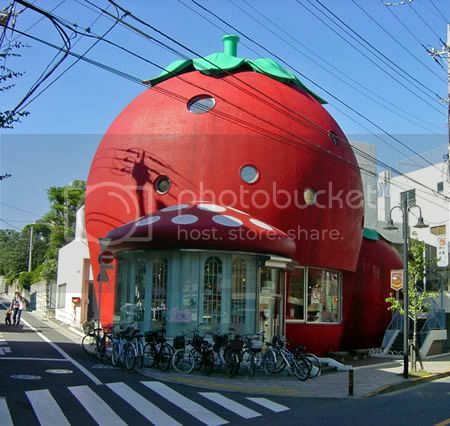 The Strawberry house, in Tokyo (Japan). The Errante's Guest House, in Chile. 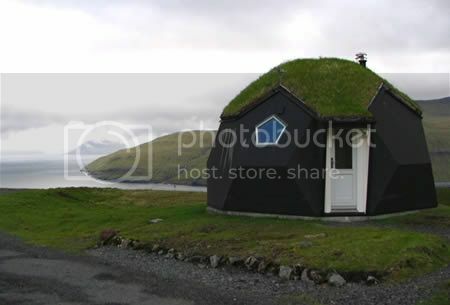 The Kvivik Igloo, in Kvivik (Faroe Islands).